Lightning Returns director Motomu Toriyama says that there's a "possibility that Lightning would appear" in future Final Fantasy games. While we're sure that the company has many favorite characters from its various games, it might not be a stretch to say that Square Enix has a bit of a thing for Lightning. The main protagonist of Final Fantasy XIII, she was just recently given a starring a role in the final game of the XIII trilogy: Lightning Returns. As if that wasn't enough time in the sun however, the company has recently revealed that Lightning could make appearances in future Final Fantasy's as well. "For Lightning, her story ends here in Lightning Returns: Final Fantasy XIII, as this game is meant as a finale to this series. 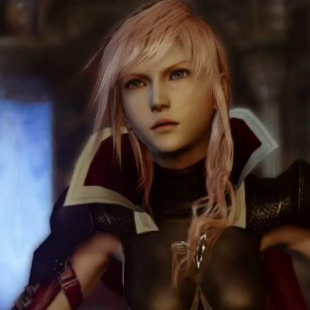 But we know that Lightning is an extremely popular character, even when compared to other Final Fantasy characters," said Lightning Returns director Motomu Toriyama. "So there is a possibility that Lightning would appear in other future Final Fantasy titles, not as a protagonist, but as a guest character." The question, of course, is exactly what "guest character" will mean. For instance, if Toriyama simply means that the character will be making subtle cameos in future games then that's something we can get down with. In fact, it'd be more than a little cool for the company to do that with other characters from the franchise's extensive library. That said, if he means that there will be some forced in sequence where Lightning inexplicably appears and saves day or something, we'd really rather pass on that. It's not that seeing Lighting in action isn't cool and all, it's just that she's had her time. Recognizable and profitable as she may be, we're ready for something different from Final Fantasy.